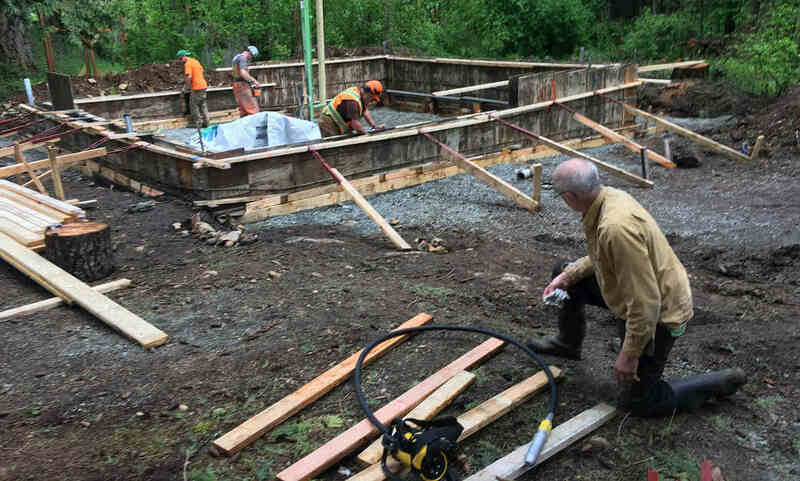 Pacific Group Developments is a full service construction, excavation, and landscaping company in Victoria BC servicing Victoria, Duncan and Nanaimo. We operate two main divisions, property development including residential and commercial construction and renovations which have formed the basis of the company since its inception and an excavation division including servicing, drainage, perimeter drains, sewer, storm, water works installations, on site sewage disposal including septic systems, septic fields and sewage treatment plants, environmental remediations, oil tank removals and replacements, site clearing, building excavations, complete demolitions and house moving and raising. From there we have expanded into landscaping and landscape supply, concrete forming and finishing, concrete form rentals, lock bar and waler bar rentals, and shipping container rentals and sales. With over 25 years property development and construction experience in Victoria, we understand that the property development process is a challenging one and we want to share our extensive experience with you to make the process as rewarding and cost effective as possible. We focus on understanding our clients needs while building quality and longevity into everything we do. We maintain the highest levels of professionalism, service and integrity in our relationships with our clients and business associates. In an industry driven by bottom lines, we stay focused on value and building lasting relationships.